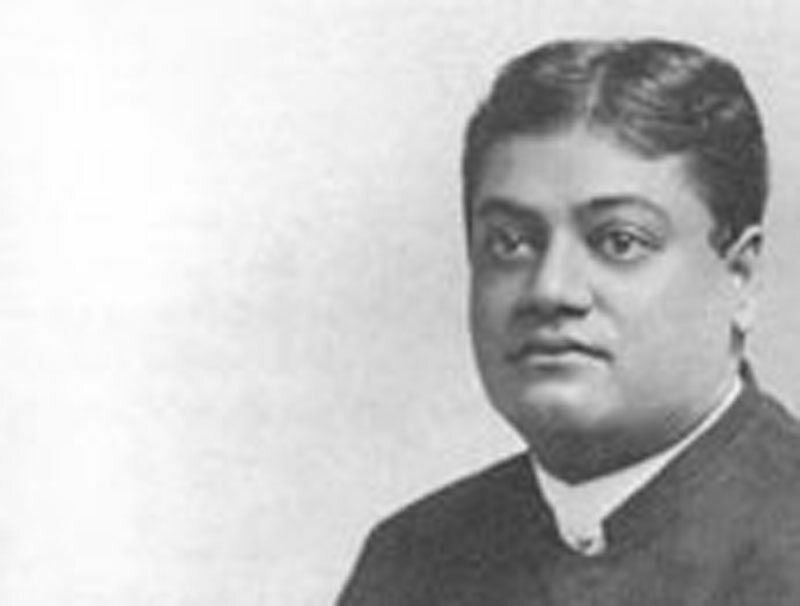 When I entered Swami Vivekananda’s room I saw that his divine body had been laid on a carpet. His forehead was smeared with holy ashes; a bouquet of flowers was placed near his head; and his body was covered with a new ochre cloth. His right hand was resting on the floor and a rosary had been placed around his right thumb. His eyes were indrawn and half-closed like Lord Shiva in meditation. The entire room was full of fragrance from incense burning at both sides of his body. Sister Nivedita was seated at the left side of Swamiji’s body, steadily fanning his head with a palm-leaf fan. Tears were trickling down her cheeks. Swamiji’s head was placed to the west and his feet to the east, towards the Ganges . Grief-stricken, Brahmachari Nandalal sat silently at his feet. We all three bowed down to Swamiji, touching his feet, and then sat there. When I touched his feet, they were as cold as ice. When the worship service was over, Swami Saradananda asked the same four of us to carry the cot to the spot where Swamiji’s body would be cremated. All the monks and devotees followed the procession. There had been some rain before noon, so the monastery ground was wet and slippery, and moreover it was covered with spear grass. So we slowly and cautiously crossed the vast area and placed the cot on the funeral pyre set with sandalwood. At that time Swamiji’s aunt and his cousin, Habu Datta, arrived by car from Simla ( Calcutta ), and began to cry and lament loudly.